Lequack wrote: He is too British to leave Sky I think, who else would put up with those sideburns. How does one be too British? Sign me up when you tell me! That must be demoralising for all the French riders, fans & media. Tbh, he was right. I didn't expect he would win (not to say so easy). 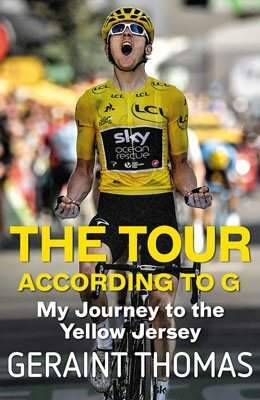 the new "The Tour According to G" will be in bookshops by November, according to Instagram. How big a priority is dental flossing and decay prevention to you? Why does this seem like those "creepy clown" photos from a while ago? 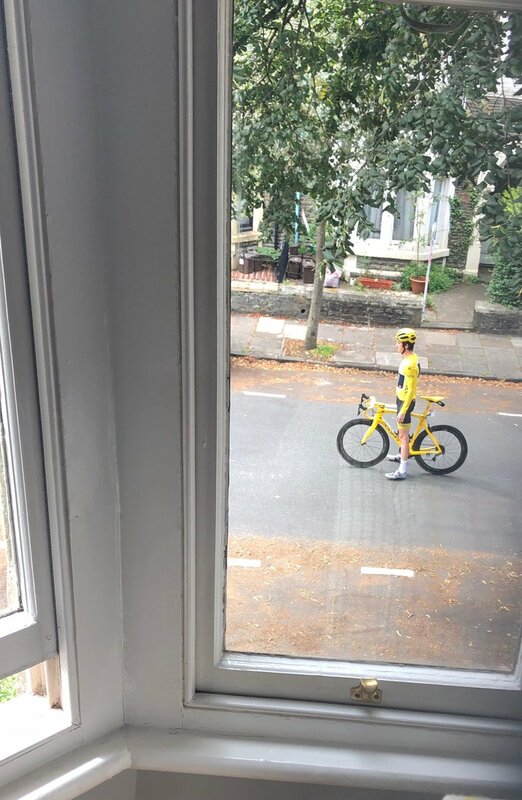 Haha, imagine Geraint cycled over to your house and just stood there watching you. elfed68 wrote: Geraint for the World's? at world's it would certainly mean also winning the Velo d'Or. Double pronged attack on RR and TT? Geraint would have beaten TD in the last TT had he not eased off. Deutschland Tour and ToB warm up races. I thought he might do it last year if Froomey got sick/crashed out. elfed68 wrote: Geraint would have beaten TD in the last TT had he not eased off. A little help from a ghost writer ? According to Repubblica friday, speaking after Kortrijk Koerse, he said that his main target for 2019 will be the Giro and he confirmed that he'll extend with Sky next week. Thomas has, to the suprise of probably very, very few, resigned with Team Sky through 2021. I wonder if we can assume that these quotes were accurate, that his quotes about targeting the Giro are as well. Do the rights of defending champ trump the rights of the potential record-setting fifth victory by the most dominant GT rider of recent years? We will never see it but I'd love to wonder what is prescribed in his contract. Salary yes, but also leadership guarantees. Though as many have said it might not have taken much to see Thomas stay at Sky. Too early but I am already looking forward to the potential for drama in 2020 as Froome's contract is up and Thomas has one more year. LiquidCrystalDynamic wrote: Thomas has, to the suprise of probably very, very few, resigned with Team Sky through 2021. I wonder if we can assume that these quotes were accurate, that his quotes about targeting the Giro are as well. Do the rights of defending champ trump the rights of the potential record-setting fifth victory by the most dominant GT rider of recent years? Giro - Vuelta double, why not?